When someone says that their favourite chocolate is white chocolate the most common response is « well that’s not real chocolate ! », is there any truth ? So what is white chocolate then? Let’s put it simply, even if it hurts to hear it … white chocolate does not contain any cocoa solids … at all! Cocoa solids and cocoa butter are the two main components use to make dark chocolate, it is full of minerals and vitamins as well as being one of the greatest source of flavanol antioxidants. 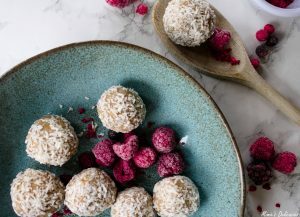 White chocolate on the other hand is made of cocoa butter, milk solids, and sugar to give it some flavour as cocoa butter does not taste anything on its own. Cocoa butter contains a very high amount of fat and should be consumed in moderation but that does not mean that it is necessarily bad for us! 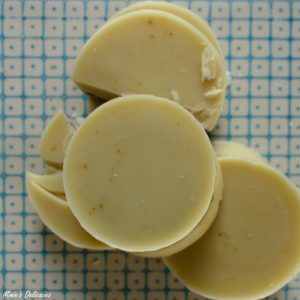 Cocoa butter has proved to help in reducing the signs of aging on our skin, as well as reducing skin inflammation such as psoriasis and eczema. Research has also shown that it contributes in reducing hair loss. Even though cocoa butter helps our skin in looking healthier however it is very high in calories and saturated fat! Yet research have also shown that cocoa butter contains stearic acid which does not increase cholesterol level. That does not mean that white chocolate should be eaten everyday though! A bar of 100 gr contains more than 70 gr of sugar so have a little bit of it and ensure that you only have the best quality one! I believe that what we put in our bodies should make us feel good inside and out! And because we love white chocolate I have decided to make my own so that we nourish our bodies with the best ingredients only! 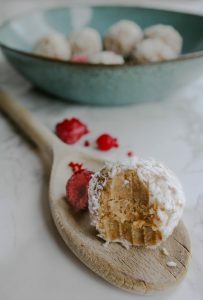 This white chocolate is dairy-free and made with organic unrefined sugar and no added oil as it can often be the case. 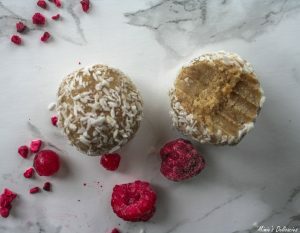 Melt in your mouth vegan White Chocolate Truffles! This recipe is a real treat, so treat it as one! … and every little mouthful. Only to be left with an expression of pure delight! Because you simply deserve it! 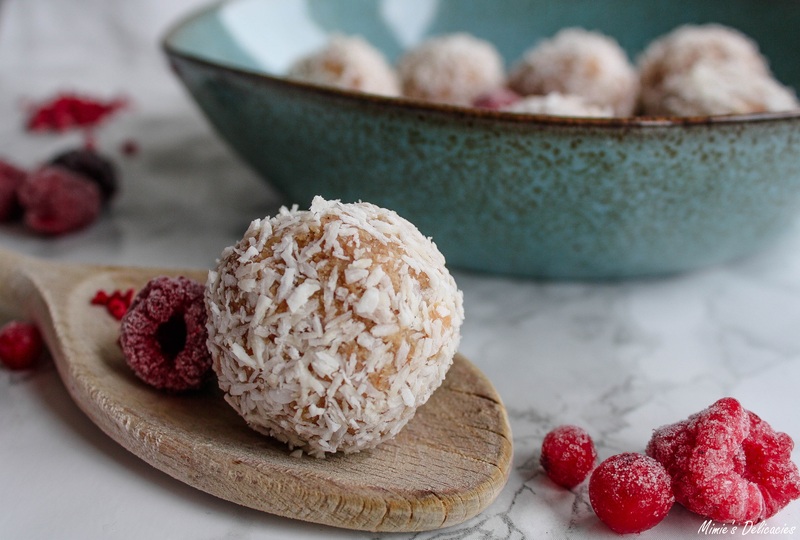 A sweet and creamy treat with a delicate touch of coconut! Melt into your mouth white chocolate truffles! Chop the cocoa butter in small pieces, place in a bowl over a saucepan of simmering water. Once the cocoa butter has melted remove the bowl, add the vanilla extract and finely ground sugar and stir until well combined. Pour the mixture into your muffin or cupcake tins and place in the freezer for at least 1 hour. Chop the white chocolate into chunks and mix in a food processor until a grainy powder forms. Next add the ground almonds and keep mixing until well combined. Scoop 1 big tablespoon (depending on how big you wish them to be) of the mixture into your hand and roll into a ball. 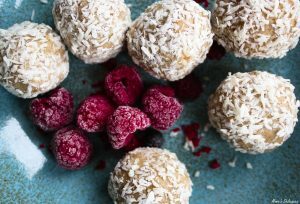 Roll each ball into some shredded coconut. When all truffles have been made, place in a container in the freezer for an hour.